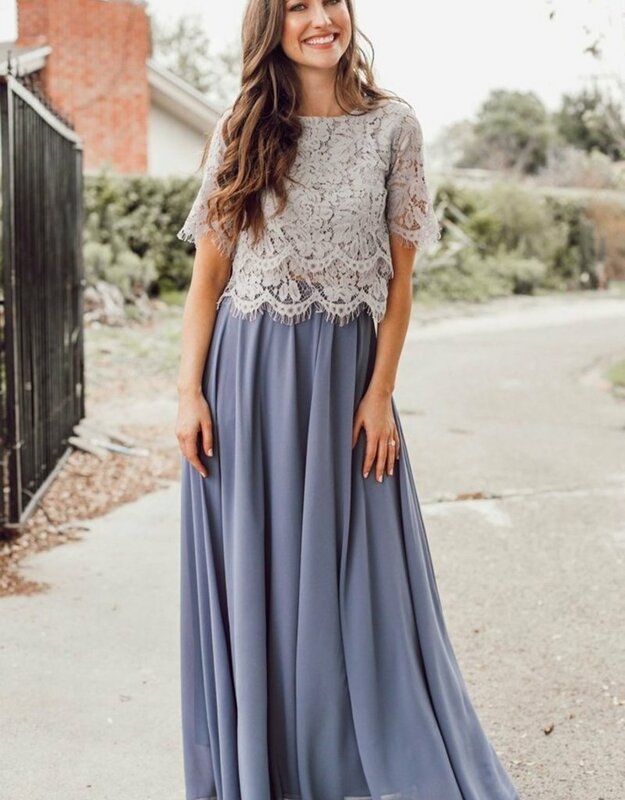 This maxi skirt is a designer-inspired piece with a gorgeous flowy silhouette. 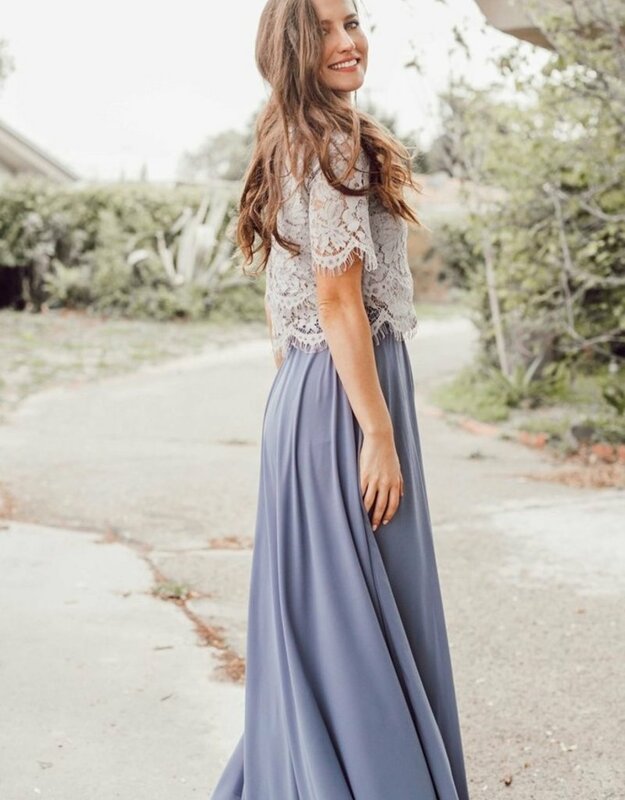 The small pleats throughout create full volume and movement, making it the most playful skirt in your closet. 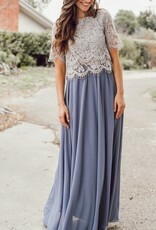 This is a customer favorite for engagement photoshoots, or bridesmaids. 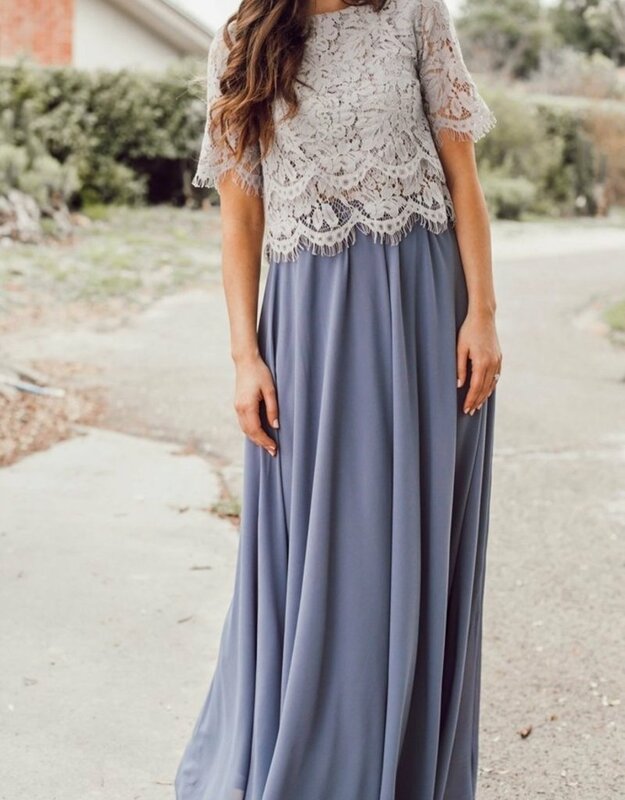 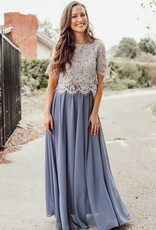 Skirt is paired here with our Layered Lace Top in Grey.